Today marks the seventh anniversary of the conflict in Syria. As you pray for refugees today, pray specifically for the people of Syria and the end of this long-lasting violence. Currently, the number of refugees and displaced people in the world is unprecedented. With over 65 million people displaced due to conflict and strife, there is a great need for child protection, humanitarian assistance, and peace. Pray for refugees and displaced people today. Pray for children fleeing their homes. Over half of all refugees are kids. Children who flee their homes may miss out on receiving an education, are at greater risk of trafficking and child marriage, and in some cases are separated from their families. Ask God to protect these children, keep them with family or loved ones, and provide them with the resources they need to overcome the violence and instability they experience. God, no child should have to leave their home due to conflict, persecution, or famine. We ask that you are with the millions children who have been displaced in recent years and to protect them. Provide them with the support they need from family and others to help them thrive despite the difficult circumstances they have faced. 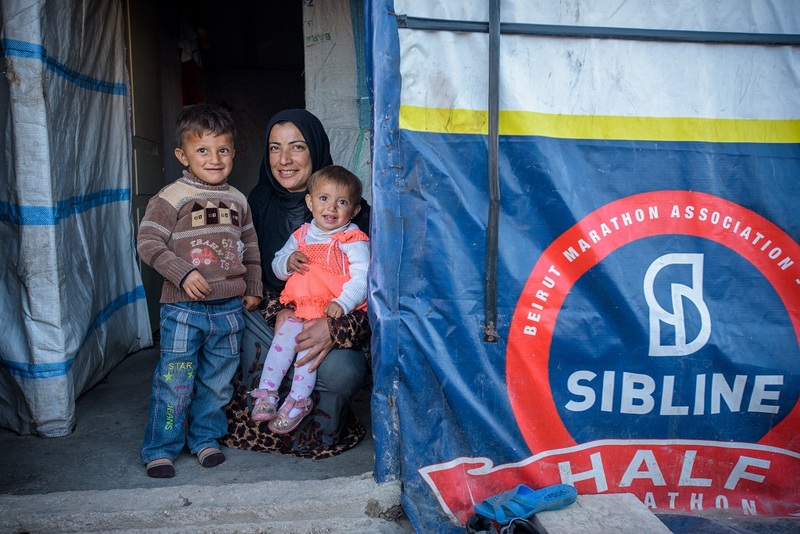 Families who are displaced from their homes face challenging conditions. They are without their normal routines, aren’t able to receive a stable income, and are subject to living in overcrowded camps, which are trying to keep up with the large influx of people. Pray for families who have been displaced from their homes — that they are provided with necessities, that parents are able to find work and keep their children safe, and that they can eventually return home. When families are displaced, keep them together, Lord. Let them support one another and lean on you in these hard times. Also, give them the necessities they need so that they can stay healthy and so that children don’t fall behind in school or become at risk for other forms of violence such as child marriage and labor. Finally, we pray that these families stay hopeful and are able to return home one day. When people are displaced from their homes, host countries take on the burden of providing refugees with a place to stay — providing resources, shelter, and sometimes education or work. Pray for these countries and the people in them who are opening their communities. Ask God to provide for them so that they can take care of their own community members while also serving those who are in great need. While we are grateful for neighboring countries and the individuals who help refugees, we know that this can be draining on resources and spirits. Be with countries who have opened their doors to refugees and encourage them in this great act of love they are taking a part in. Provide for these communities as well as for the refugees who they are serving. Pray for the end of violence. Violence in Syria, South Sudan, Central African Republic, the Democratic Republic of Congo, and more has affected millions of people, many of them children. Violence can permanently impact the architecture of a child’s brain and the immune system, leading to poor health over the course of their lifetime and a shorter lifespan. Pray for the end of violence in all places and in all forms so that more children can survive and thrive. Father, please end all violence. Specifically, we pray that you would put an end to violence caused by conflict and strife that is destabilizing the lives of millions and causing people to leave their homes. Bring peace so children can reach their full potential. Our country’s leaders have the power and influence to help refugees in many ways. They can allocate funding to help with basic needs in refugee camps. In some cases, they may be involved in a political conversation with other governments that could help promote peace. Or they can pass and enforce legislation that helps protects refugee children like the Protecting Girls’ Education Act, which aims to place marginalized children into the classroom. Ask God to guide our leaders to compassion and to consider all the options in front of them. Pray that our leaders in Congress would work together to find solutions that honor God and serve children in need regardless of where they are born. We need you God, and so do our leaders. Draw near to them and help them to have compassion on those in vulnerable situations and to prayerfully consider how you want us as individuals and as a country to help those who have been displaced from their homes. Give them the courage to speak the truth and to find ways to ensure all children are provided with the necessities needed to become who you intended them to be. Amen. I have Faith in the Word of God, 1John5:4 since I am born of God and have over come the world 1John 4:4 because greater is He that is in me than he that is in the world. Therefore, I am a new creation 2Corinthians 5:17. My prayer is: I declare protection and support in all forms for children fleeing their homes right now in Jesus name! Despite their desperation hope, justice and love-mercy locates them! I declare unity, love and livelihood for the fleeing families that they shall lack nothing where ever they are, especially as some of them taking refuge in neighboring countries; they receive favor from both God and men – the government, institutions, NGOs supporting them, communities around them supernaturally! Because all things are possible for a person who believes, and we believe! Our God is sovereign & able! I declare end of violence in Syria, South Sudan, DRC, Central Africa that is caused by conflict and strife in Jesus name that people live life in all its fullness (John 10:10) as God intended for His glory. I pray for wisdom for leadership of USA and all influential authorities global to work for peace, love-mercy, justice to make the world a better place to live in with dignity.